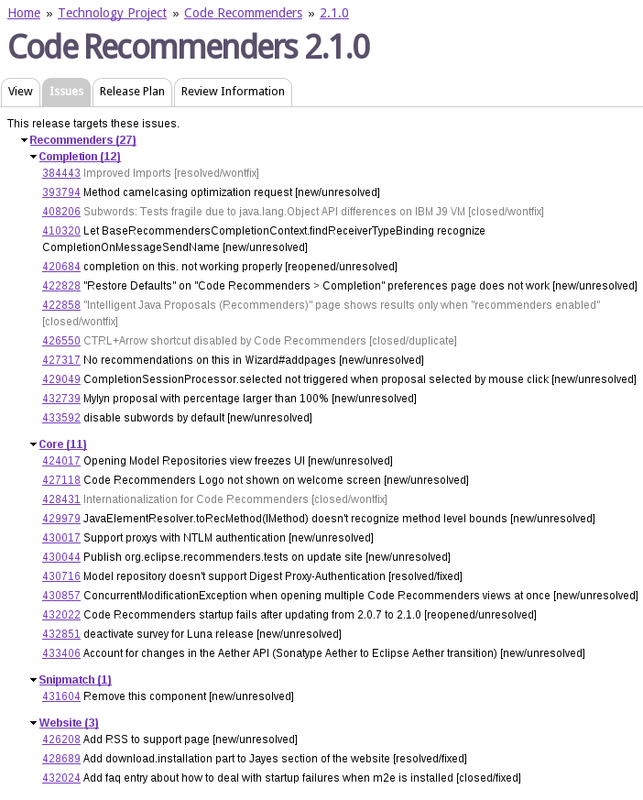 The bug list is generated by matching the “target milestones” from Bugzilla to the name of the release record. So, a release named “3.5″ will automatically match bugs with a target milestone of “3.5″. But, since it’s not always that neat and tidy, we decided to make the matches a little fuzzier: a release named “3.5″, “3.5.0″, or “3.5 (Luna)” will–for example–match target milestones named “3.5″ ,”3.5M1″, “3.5 M2″, “3.5.0M3″, etc., but will not match “3.5.1″ or “3.5.2″ (these are considered separate releases).